Thank you so much to everyone who made phone calls, sent emails, or shared social media posts in solidarity with Honduran farmworkers over the past three weeks. Together we exposed the flawed “fair trade” certification of multinational fruit company Fyffes’ melon plantations in Honduras. 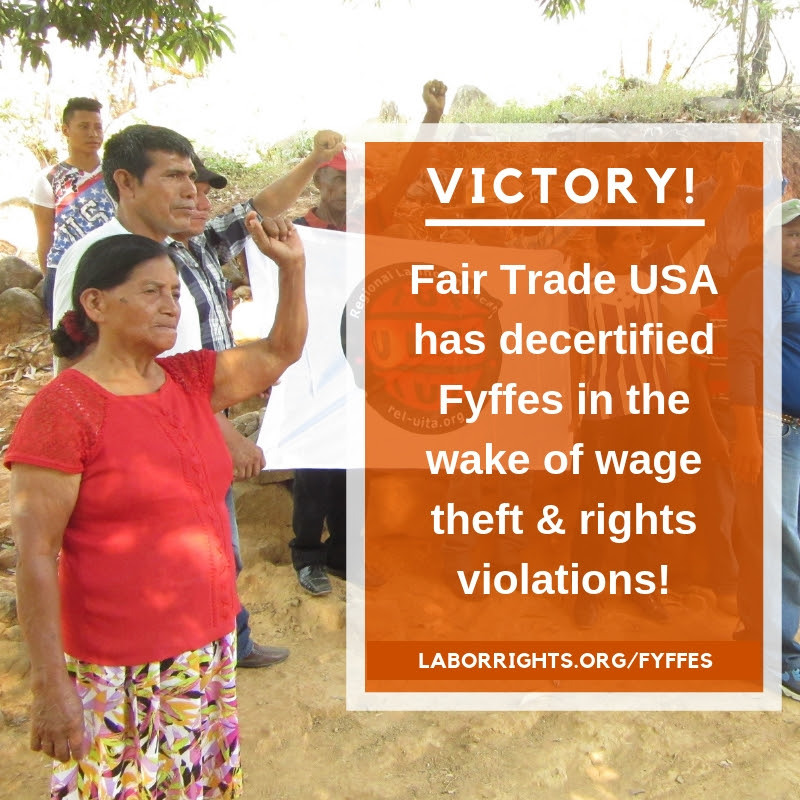 Because all of you demanded justice for Honduran workers, Fair Trade USA had to take notice and de-certify, after over six months of inaction. Please make a year-end gift to help us turn this achievement into improvements in working conditions for the farmworkers in 2019. Last week, I met with Honduran melon workers who told me of the verbal harassment they get from their supervisors for being a part of the union. Dozens of these workers have not been re-hired this melon harvest for being unionized. Several women workers also told me of the extremely high production quotas and the refusal of management to let them wear gloves to work. Many women showed me the resulting cuts and lesions on their hands. Fyffes is the #1 supplier of winter-season melons to U.S. supermarkets. You may have seen them in your local grocery store sold under the “SOL” sticker. Fyffes in Honduras employs up to 8,000 temporary workers between November and May, who endure backbreaking conditions and wage theft. The next step in this campaign will be to pressure U.S. supermarkets to stop buying from Fyffes until the company recognizes the STAS union and negotiates a collective bargaining agreement with them. This is what the workers demand in order to remedy over a decade of human and labor rights abuses. In 2019, I will continue to work closely with STAS to build a strong campaign in the U.S. to pressure the supermarkets – the only actors that Fyffes really cares about. This week’s victory with Fair Trade USA shows that international pressure and cross-border organizing makes a real difference! Will you join me to make our campaign stronger by contributing to our year-end fundraising campaign today?